OUR PRICE: $44.83 - Join Rewards Get $2 Dance Dollars On This Item! Turn your beast into a magical prince and dance around with your household friends! 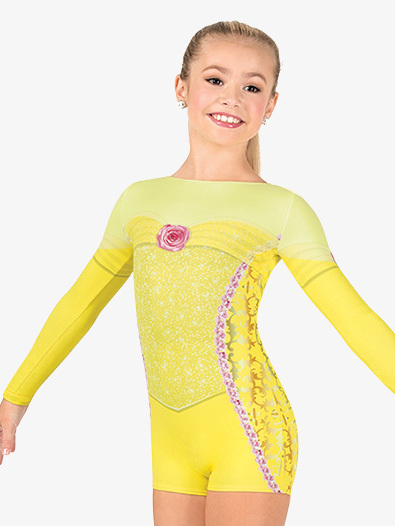 Princess themed shorty unitard features a front and back screened-in faux bustier, filigree screened back detail, mock rosettes, pink screened sequin trim, and long sleeves.